The Marcels were part of a wave of musical talent to emerge from Pittsburgh’s Northside in the late 50s and early 60s. The original group broke up around 1972, but Walt Maddox, a Manchester native and the current bandleader, has reformed it to be what it is today. began their careers as teens. After graduating from Allegheny and Oliver High Schools, they set out to form their own musical group. The band began practice sessions in 1959, at a small, makeshift recording studio on Woods Run Avenue and produced a number of demo tapes. They were signed by Colpix Records, a subsidiary of Columbia, the next year. tenure with The Marcels was supposed to be temporary; a prelude to a promised, but never delivered, solo contract with Colpix. At the end of 1961, the Marcels released the 45-r.p.m. record of songs, “Really Need Your Love,” the first song Maddox wrote for the group, and “My Melancholy Baby,” the group’s last hit on the Top 100 R&B Charts. Two years later, The Marcels were dropped from Colpix. “[Our] sound just couldn’t compete with the British invasion and the heavy soul and R&B that was coming out of places like Detroit and Chicago,” said Maddox. But Maddox and Johnson kept the group together until around 1972, releasing songs on various labels. 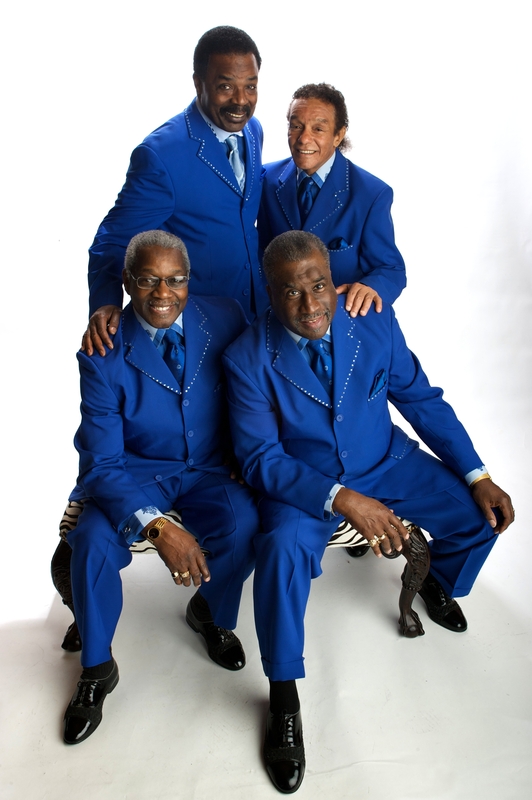 In 2002, The Marcels were inducted into the Vocal Group Hall of Fame. Their only number one hit, “Blue Moon,” is featured in the Rock and Roll Hall of Fame list of “500 songs that shaped rock and roll.” Two years later, Maddox engaged in a court battle which ultimately granted him full ownership of The Marcels’ name and the ability to both license the band’s material and book its shows. Maddox eventually formed his own label, called Super M, based here in Pittsburgh. He released a number of albums, both The Marcels and solo work, and is preparing to debut a new one called “High School Memories,” a compilation of both classic doo-wop songs and original music. The current band, featuring Jules Hopson, Richard Harris, Kenny Mitchell and Ted Smith is now touring to promote it. The two major highlights of Maddox’s career are his solo world tour, “Tribute to Nat King Cole,” and his “Wake Up Your Dreams” school assembly program, aimed at inspiring elementary school students around the country. For more information about The Marcels, including their tour schedule, visit their official site: www.themarcels.com. To purchase the band’s music, either on vinyl or CD, at The Attic Records Store Inc., call 412-821-8484, or email them at atticrecords@verizon.net. classic doo-wop songs and original music. The Attic Records Store Inc.